The City of Nice in the Provence, France is the ideal travel destination for singles, couples or families to enjoy a dream vacation. 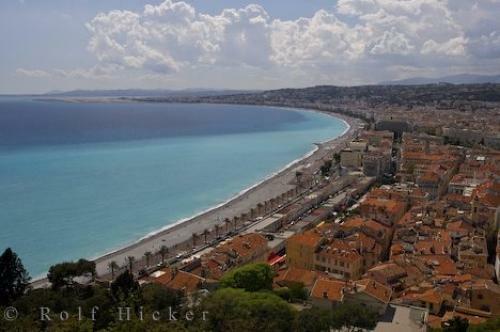 Photo of the stunning waterfront in the Provence which makes many tourists choose Nice, France as a travel destination. ... Everything you require is close by in this elegant but simple land of charm and beauty.City of Nice waterfront and Old Town seen from the Parc du Chateau, Riviera, Provence, Cote d'Azur, France, Europe. I photographed this photo with the digital SLR camera model Canon EOS-1Ds Mark II, aperture of f/6.3, exposure time of 1/400 sec. on ISO 100, as always I used a original Canon Lens, the focus lenght for this picture was 34mm.